The Iranian issue is again occupies the front pages of leading European publications. But for the first time in many years, the materials are positive and full of goodwill to the Islamic Republic and its President. All is not smooth in the relationship, not all the obstacles to wider economic cooperation eliminated, but it is now clear - first European tour Hassan Rowhani went extremely well. Led by Hassan Rowhani to Europe from Iran a delegation comprising over one hundred businessmen and government officials, including the country's oil minister. For the first time in more than 10 years of senior management of the Islamic Republic visited European capitals to enter into multi-billion dollar deal. "Tehran turns into a bonanza for Europe, it is the driver of the banking system of the Old World," - wrote one of the most authoritative publications, and here it is far from the truth. Total Iranian president visited the two countries - Italy and France - whose economies are largely the backbone for the "Old World." And each of them is planned to conclude major deals that allow the European economy to return to the Iranian market, and Iran - to implement their own development plans. Here - a clear two-way street, because not only Iran is ready to cooperate with Europe, but also European politicians and business people, no less than the Iranians expect the establishment and expansion of bilateral political and promising economic relations on the stage, which, ironically, coincided with the wake of the world financial crisis. 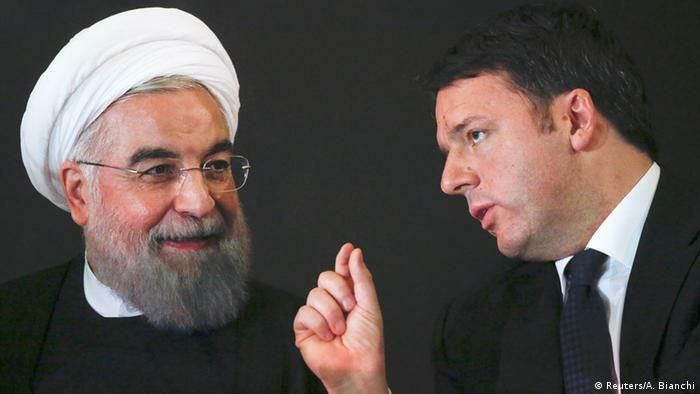 In Italy, the interlocutors Rouhani and his party became Prime Minister Matteo Renzi and representatives of major companies, for whom - and a huge multi-billion dollar opportunity. Pipeline Saipem, a supplier to the steel industry Danieli, engaged in water infrastructure Condotte. Construction company Coet already proposed the Iranian side package deals worth more than five billion euros, but - this is how say in Rome, only the beginning, because in the words of one EU official, "in turn to Tehran lined giants such as Eni, Enel Ferrovie dello Stato, shipbuilding and Gavio Fincantieri ». Of particular importance in this context of the meeting of Iranian President Hassan Rouhani with Pope Francis. During the meeting, Rowhani asked Pope to pray for him, that, in our opinion, quite clearly pursues the following problem - send a signal to Europeans on the seriousness of Tehran on the development of relations with the non-Islamic world. In short, Hassan Rowhani had every reason to declare in an interview with Corriere della Sera newspaper on the eve of a visit to Rome: "I am happy that my first visit abroad after the signing of the nuclear agreement will be accomplished in Italy, because it is a country with which Iran has long supported excellent relations in the sphere of economy, culture and politics. For a certain period, Italy was our leading trade partner. According to international and political issues of the Italian leader has always balanced attitude towards Iran. In Italy the new conditions may be one of our most important partners. We treat your country like a friend in Europe. I hope that my visit will open a new phase in our relations. " 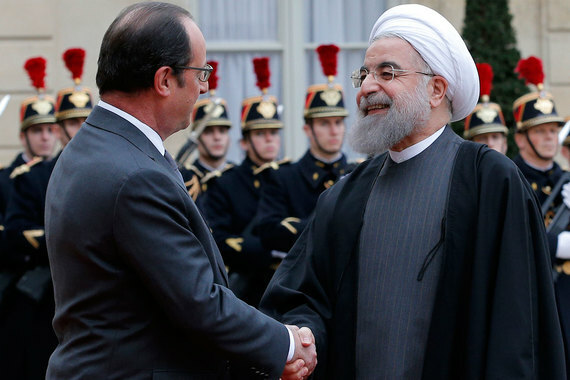 No less successful was the Iranian president's stay in France. The parties have already announced the signing of a number of major commercial contracts, in particular - to supply Iran with 114 aircraft concern Airbus and the creation of a joint venture for the production of cars between the French company Peugeot-Citroen and the Iranian company Khodro. Moreover, in Paris it signed a protocol agreement on the beginning of "a new phase of cooperation" in the field of railway transport. It is noteworthy that the headquarters of the Peugeot Citroën declare their intention to collect annually in Iran 200 thousand cars. Starting as early as this year on the plant in Tehran, Iran Khordo together with the French manufacturer will assemble the Peugeot 208, 301, 2008 and the second quarter of 2017 and an investment of 400 million euros over five years. The communique of the company, by the way, it is emphasized that the French carmaker intends to export automobiles assembled in Iran, other Middle East countries - in fact, the repetition of the situation of 2008-2009 when Iran was one of the main exporters of licensed vehicles in the region. Especially need to stop for a contract with Airbus, which Western media called the "giant." According to a source in the company Iran Air, supply 114 passenger aircraft Airbus, including models such as the A380, A350, A340 family aircraft and A320, will be completed by 2020. Supply aircraft will be three or four parties, and delivery of the first batch of 10 aircraft is scheduled for March this year. Noteworthy here are two circumstances. First of all, despite all the anti-Iranian statements of Washington, USA and expect to get a share of the aviation market of Iran. In mid-January, President Obama signed a memorandum lifting the ban on the export of civil aircraft to Iran. Besides, the Iranian market and are eyeing the Canadian aircraft maker Bombardier, and Brazil's Embraer. So Airbus 114 aircraft may well be the "first sign", the forerunner of the struggle of the airlines with a worldwide reputation for the Iranian market. "Thanks to an agreement on its nuclear program on July 14, 2015, we can open a new chapter", - said the French Prime Minister Manuel Valls. - "Do you know that France is with great satisfaction the entry into force of this agreement, which was announced on 16 January. " Naturally, such an important event - the successful trip of Hassan Rouhani in major European capital - could not cause counter anti-Iranian forces still quite influential in the European Union. Thus, the Iranian president was still in Paris, as the media began to walk "duck" that France allegedly appealed to the EU for new sanctions against Iran because of missile tests. Moreover, the source of the statements was the one who would doubt the American agency Associated Press. To refer to the likelihood for some "high-ranking European officials." Fake American newsmen immediately denied their European counterparts. Reuters reports citing European diplomats that Paris did not address such a request to Brussels. According to sources, the agency, at the meeting of the Foreign Ministry, which allegedly discussed this issue, the French Foreign Minister Laurent Fabius was not even present. However, such a "duck" - a proof that the anti-Iranian lobby in the Old World as much as possible try to complicate a new stage in relations between Tehran and Europe. But does anyone doubt it? Another thing - how successful these attempts. And I must admit that they have little chance. Iran, as the air needs of the European economy. Europe now sees Iran, firstly, as an active participant in the Middle East regulation. Second, as a business partner whose cooperation could be a kind of "medicine" from the economic crisis. And it is - a consolidated position of all sensible Europe because similar view is shared by Berlin. 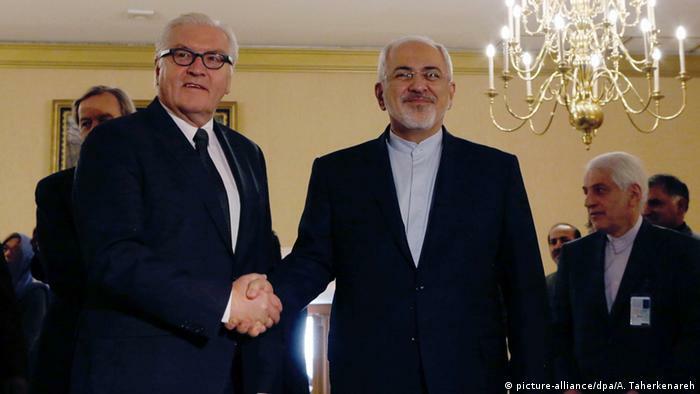 Suffice it to recall that a few days ago, Foreign Minister of Germany Frank-Walter Steinmeier said that"Germany said Iran's participation necessary to stabilize the situation in the Middle East." "We want Iran to shushing conflict and reconstruction in this crisis-prone region. And I hope that Iran was ready for it, "- the minister said. His view is shared by the great German capital. Not coincidentally, it is the Vice-Chancellor and Minister of Economy of Germany, Sigmar Gabriel, became in 2015 the first Western politician to visit Iran after the conclusion of an agreement between Iran and the "six" of international mediators.Accompanied him, the head of the Federal Association of Chambers of Commerce in Germany (DIHK) Eric Schweitzer said at the time that the German company should be ready to become a European leader in the return on the Iranian market. And this line is drawn is now Berlin, despite the resistance of the same United States. In short, the obstacles that currently exist between Iran and Europe - can be overcome. And overcoming them, apparently, it happens in the very near future. Many commentators are now asking the question - what was more European tour Hassan Rowhani - economics and politics. And that, and the other was more than enough. But even more was common sense and pragmatism, which begins to prevail in Europe, views on relations with Tehran. Looks are not from the standpoint of the United States or Israel, but in terms of actual European interests. And in this - probably the most important result of the visit of the Iranian president in the European capitals.